Stableline Sulphur & Rosemary Cream is a antiseptic cream that contains natural ingredients and promotes healing. This highly effective product can be used for general skin conditions. Aqua, Petroleum Jelly, Mineral Oil, Sulphur, Rosamarinus Officinalis, Cetrimidium. 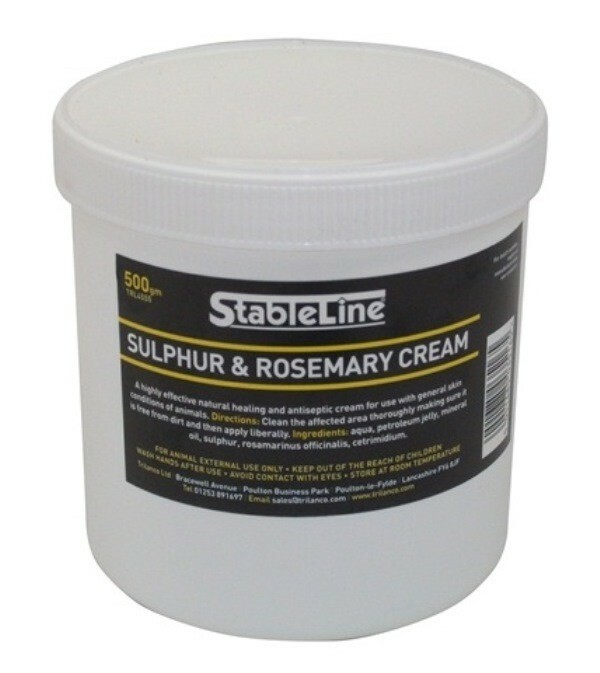 There are currently no questions for Stableline Sulphur & Rosemary Cream - be the first to ask one!